The Legend of Raie'Chaelia Trilogy is just about complete and Melissa Douthit wants to share it with YA/Fantasy Lovers. After the fall from the Maaldan cliff, Chalice is reunited with her friends on a journey that takes them to the coastline of Ielieria. Little do Vlaad and his Fierain know what is in store for them as, bit by bit, their plans are thwarted by this blond-haired, blue-eyed beauty. It's my great pleasure to welcome Melissa Douthit back to the Flight Deck and to congratulate her on the third and final book in her wonderful epic fantasy series, 'The Return'. Well Melissa, this is a 'return' for you as well, and I always enjoy having you as my special guest. Help yourself to your favourite sparkling drink from the auto-dispenser and tell the readers a little more about yourself , with three things not many people know about you. I like wine way too much. And I grew up on a ranch with horses. HL: Well I'm not too surprised by the first two, and I'm really envious of the third fact about you. I love horses and always dreamed of having a horse ranch. One of the reasons I've enjoyed yur books so much is that as well as wonderful human characters, Banner, Sunny and Nipha are such lovely horse characters. So what do you do for fun when not writing? I like to cook while listening to audiobooks while my Coonhound lays nearby hoping to get a morsel, which he usually does. :) I also like to swim during the summer and ski during the winter. HL: Sounds good. When did you start writing? I started writing in high school. Then I stopped when I went to college. I just recently started writing again in 2007. The characters. Once they are in place and the setting established, they make the plot. I’m a discovery writer. Much of the story surprises me as I go along and it grows with the telling. HL: I'm glad you said that - I'm exactly the same and love it whe my characters dictate the plot. Tell us about your latest release and what you think readers will enjoy about it. The Return is the third book of the trilogy, The Legend of the Raie’Chaelia. In it, Chalice finishes what she started and really pushes the envelope to the point where she finds herself in hot water. Even though I knew where and how the story would end, it was interesting to see where the characters led me. Some of the events that happen in book three were as much a surprise to me as they are to the reader. The Return really is my favorite book of the whole trilogy because so much happens in it. All the burning questions get answered, the mysteries get solved, and the big reveal at the end ties everything back to the very beginning of the first book. This what I think readers will like. Chris Hemsworth as Duquaine. Duquaine is exactly like Chris (Thor) in the Dark World. When I wrote Duquaine, I envisioned him. HL: Mmmm, I can see why. Have you a favourite actor/hunk? Would this be the same guy? HL: Lyn pauses to fan herself, while passing Melissa another glass of 'something sparkling.' So what have you learned about writing since you were published that surprised you the most? Writing a book is easy. Doing everything else (publishing, marketing, etc.) is the hard part. HL: Isn't that the truth! What’s you’re writing process? Has it changed since writing your first book? My writing process never changes. Ideas and words hit me at the most inconvenient times. When I’m driving in the car or when I’m bone tired and just lie down to sleep. Ugh, that’s annoying, but that’s why I always keep my iPhone with me, so I can jot down notes. I usually write in binges. I’ll go for a while without writing and then all the sudden, bam! A flood of words and ideas come to me and I have to write them down before I forget. When I’m in that mode, my favorite spot to write is at the living room table, right next to the fire, with Copper curled up at my feet. He’s my writing partner and gives me lots of advice :), as well as keeping my feet warm. HL: My doggy writing partner does that too! Do you listen to music when you write and if so, what kind of music – or do you find it distracts you? I write in silence. I listen to music when I envision scenes. For example, the scene where Chalice burns down Ielieria popped in my head when I was listening to Burn It to the Ground by Nickelback. HL: Yes, I find music can be very inspirational, too.Do you have a support system? Do you have a writing community? What valuable lessons have you learned from them? Just my pup. :) My writing community is comprised of the characters who appear in my head. I just write what they show me. HL: I love the way characters can do that. What is your personal definition of success? HL: Great answer. What is your favourite source of inspiration? Dreams. So many ideas have come to me in dreams and they’re usually the best ideas. Beware of internet trolls. Research their hangouts and then stay away from those places online. That’s the best advice anyone could have given me. HL: Excellent advice, and something not everyone is aware of. What sort of research do you do for your books and what’s your favourite source of information. Google usually. In fantasy, you usually make up your own rules, but in some cases you have to do research. In those cases, Google is your friend. HL: LOL, I've spent many happy hours on Google myself, in the name of 'Research.' Tell me, Melissa, just for fun, if you were an animal, which one do you think you would be, and why? HL: That's a good choice. Many authors model their characters on people they know. Is this the case with your characters and do you see yourself in any of them? Absolutely! Chalice inherits my determination and stubbornness and Jeremiah, my love of reading, writing, and studying. HL: That must be why those two seem so well suited. Who is your favorite character in your book and why? Duquaine. Because he is so much like Chalice. The two of them make for very interesting scenes! HL: Yes, I love the way those two interacat in 'The Return.' Who is your most favorite character of all time from any book, thn? Dobby in Harry Potter. I love Dobby! HL: He's great isn't he! Sadly our interview is nearing it's close. Before I programme your shuttle back to Earth, where can readers connect with you? HL: And finally, there a question you really, really wish someone would ask, but they never do? If so what would be your reply? What a great question and answer! Thank you so much for taking time to visit my blog, Melissa, it’s been a thrill having you here and learning more about you and your writing. I wish you much success now and in the future. 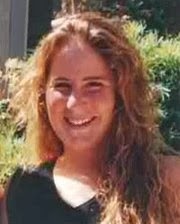 Melissa Douthit grew up in North County of San Diego, California. After graduating with a Computer Science degree in Southern California, and working for a summer at the National Radio Astronomy Observatory in New Mexico, she moved to the Bay Area to work at NASA Ames Research Center for a year and then at Lawrence Livermore National Lab for another four years. From there, she moved to Monterey, California, to work at the Naval Postgraduate School on a government project for two years. "This was SUCH an epic fantasy. I felt that same "childhood" feeling I've felt while reading countless fantasy books, such as C.S. Lewis' and J.R.R. 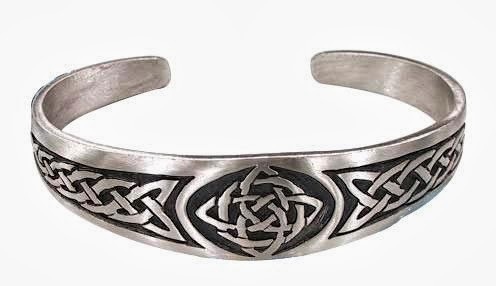 Tolkein. I really loved how Douthit described the scenery. I could imagine myself in the "ghost town" which Chalice travels to first, or the Chinuk village that they stay in overnight. Love the detail, you can really feel a part of the journey which Chalice and her friends take. "I really enjoyed The Raie'Chaelia. I liked both Chalice and Jeremiah. Especially Jeremiah. I'm not really sure why I think so highly of Jeremiah other than he is just a really great guy and an incredibly likable character. Chalice is quite likable too although she did do a couple of things that I thought were a little silly at times. The supporting cast were all very cool too. The Raie'Chaelia is definitely a really intriguing story and I had a lot of fun reading through it. "What I really like about these books is the amount of fantasy. It reminds me of (and I know I said this in the review of the first book) childhood fantasy stories, like C.S. Lewis. Completely magical, and Douthit has really created a fantastic world. You don't see that too much in YA these days. The romance in this book has improved since the last one! Chalice and Jeremiah develop even more from the first book, and I found it really sweet and not-rushed-into at all. The action and thrill of what's to happen next is really amazing too. I had to keep reading to find out what happens next. "The Firelight of Maalda: A story that unites the real with the fantastical and turns science into magic. It is a tale of intrigue and wonder where two opposite worlds collide in an explosive journey that leads Chalice and her friends to the dark islands lurking just beyond the horizon of Ielieria, where the Firelight of Maalda sits ... and waits. This is a YA series for age 13 upwards. Having said that, I'm sure many 'older' readers will enjoy it as much as I did. The story continues the story begun in The RaieChaelia and reveals more of the characters and the wonderful world Melissa Douthit has created. I really enjoyed reading the first book, The Raie Chaelia, as well as the sequel. This story continues Chalice's journey to fulfil her destiny, and the growing romance between her and Jeremiah. She and Jeremiah knew each other as children, and meet up again at the beginning of The Raie Chaelia. Their friendship has grown into something deeper and in The Firelight of Maalda both characters, but especially Chalice, have grown and matured emotionally and I found it particularly satisfying that their love is not only acknowledged but their sweet romance seems completely natural and uncontrived. There is a touching tenderness between them, they are both strong characters but neither feels complete without the other and their love and respect for each other shines through even when they are not entirely in agreement. There is a lot more to this story than romance though, there is plenty of action and suspense. There is a large cast of characters, and some of those from the first book make a welcome re-appearance. "After reading The Raie'Chaelia last year I was so excited to be able to read the second book, The Firelight of Maalda. Needless to say, I loved The Firelight of Maalda just as much as I loved The Raie'Chaelia. The story was really good and I had a lot of fun learning more about the world and the goings on. There were the highs and lows in the book and I was really excited to see the return of some really awesome characters from the first book. Then there was the ending. Oh my goodness! I don't want to spoil anything but can I just say, that is one huge cliffhanger. UGH! Can I have the next book now please? After the fall from the Maaldan cliff, Chalice is reunited with her friends on a journey that takes them to the coastline of Ielieria. Little do Vlaad and his Fierain know what is in store for them , as bit by bit, their plans are thwarted by this blond-haired, blue-eyed beauty. The small band of rebels then travels across the Realm, preparing it for war, while Chalice herself is brewing plans of her own that may just land her in the hot seat. What will happen when she returns her father to the throne? What will happen when he finds out what she has done? And ... what will happen once Dar'Maalda learns of the rebels' location? In the third and final novel of the trilogy, The Legend of the Raie'Chaelia, you find out. It is a dramatic finish to an epic story of action, adventure, betrayal, forgiveness and love. I was looking forward to reading this story and I was not disappointed. It continues where the last book 'The Firelight Of Maalda' finished and is an exciting, breathtaking ride. Chalice is eighteen in this story and it is interesting to see how much she has changed and grown up since the first book. She is still feisty, very independent and at times fiercely stubborn and firm in her resolve when she believes a certain course of action is the right one, despite misgivings from those around her, even her one true love, Jeremiah. She makes mistakes, she is not perfect, or always right, despite her special abilities, and this is one of the things that make her very easy to like and to relate to. Jeremiah is strong, sweet and gentle, and knows just how to handle her. Their mutual respect and affection comes through the pages very clearly and they are perfectly suited. Sadly, their differing cultures mean they cannot marry, but they are in every other way man and wife, and the dilemma is resolved in a surprising manner at the end.The love scenes are hinted at without actually being described and this is a great read, suitable for any age group from Young Adult upwards. The story is by turns, gripping, exciting and moving. It kept me turning the pages and much as I wanted to discover how it all turned out, I did not want it to end. This is an epic story, spanning three volumes, I think you could read 'The Return' without reading the other stories in the series, and still enjoy it, but they are all three worth the read and the various characters and groups will be much easier to follow if they are all read, chronologically.) The series has a 'Tolkeinesque' feel but is completely fresh and original and Melissa has created a world in which the reader can feel completely at home. The fantasy and magical elements in it are have a rationale and are therefore believable, and there are familiar animals as well as imaginary ones. 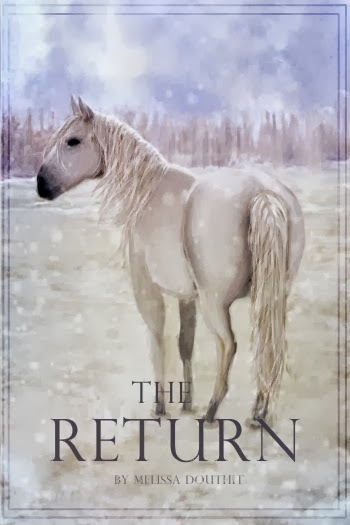 I was sorry that Chalice lost 'Sunny' the beloved palomino horse given her by her father, but the beautiful horse that graces the cover, Nipha, is a worthy successor and an important character herself. There are several twists and turns to this exciting story, and the climax had me on the edge of my seat. As the story concludes there is an unexpected but satisfying twist. I really enjoyed 'The Return' and felt sorry that there would be no more - or will there? I think perhaps there's scope for at least one more episode, Ms Douthit? A Review copy of this book was provided by the author. No compensation was received for this review and it is my own personal and unbiased opinion. p.m.terrell is the pen name for Patricia McClelland Terrell, the award-winning, internationally acclaimed author of more than eighteen books in four genres: contemporary suspense, historical suspense, computer how-to and non-fiction. 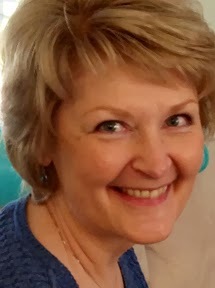 Prior to writing full-time, she founded two computer companies in the Washington, DC Metropolitan Area: McClelland Enterprises, Inc. and Continental Software Development Corporation. Among her clients were the Central Intelligence Agency, United States Secret Service, U.S. Information Agency, and Department of Defense. Her specialties were in white collar computer crimes and computer intelligence. For more information visit the author’s website at www.pmterrell.com, follow her on Twitter at @pmterrell, her blog at www.pmterrell.blogspot.com, and on Facebook under author.p.m.terrell. 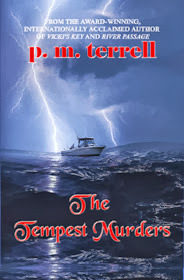 I have to say that writing the characters of Irishmen Ryan O’Clery in The Tempest Murders and Dylan Maguire in the Black Swamp Mysteries series have been the most enjoyable experiences of my writing career. I knew when I was writing Vicki’s Key, the first book to feature Dylan Maguire, that I needed a man Vicki would fall for quickly—and intensely. I researched what women like best by going to online surveys conducted by national women’s magazines. I found that the most loved accents in the world are Scottish, followed by Irish and then by Australians. I considered making Dylan (who at that point was unnamed) Scottish, but decided I liked the smoother Irish brogue and their reputation for good humor. I immersed myself in the Irish accent; much of it found on YouTube videos. Because most of those videos were home movies, it allowed me to understand the common Irish language versus the Hollywood version. I also discovered there is a big difference in Irish in the west, in rural regions, and in large cities. So when I began writing The Tempest Murders, which takes place partially near Dublin, I would have to write with a more educated Irish vocabulary than Dylan’s rural upbringing in my previous books. My family’s heritage is Irish and in delving into the Irish culture and physical characteristics, there was never any doubt that both Ryan and Dylan would have black hair. Ryan’s eyes are very green (like my father’s) and Dylan’s is hazel (like my mother’s). Height is often a factor in attractiveness, so both men are tall. And of course, they’re muscular and fit. Personality is often driven by the plot itself. Because it was important for Vicki to fall in love with Dylan in Vicki’s Key, he needed to be good-humored and good-natured. 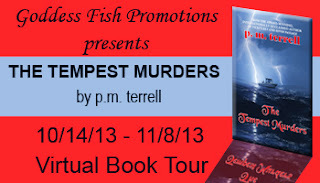 But when I wrote The Tempest Murders, it begins with a man who feels like he’s lost himself—or perhaps never found himself—so Ryan is more brooding and introverted in the beginning, but finds himself when he falls in love with Cathleen Reilly, becoming capable of deep passion and love. When I am writing, it is important that these characters be as real to me as flesh-and-blood; they must be multi-dimensional and multi-faceted for the reader to be able to feel them, view them and sense them as vividly as I do. To follow the tour please click on banner above - the more stops you comment on the better your chance of winning! Since girlhood, Emily Darson has accepted that she will marry Nicholas, the son of her father's trusted business partner. The marriage contract safeguards her family legacy, Emily's fortune, and everything she values-- except her independence. Only when a sinfully handsome scoundrel enters her life does Emily realize quite how much a loveless match will cost her. Will Samson has advanced from expert pickpocket to confidence trickster of the highest caliber. Now he has come to Bath to exact vengeance on the man who destroyed his mother--the man Emily will soon marry. But from his first glimpse of the enemy's bewitching, spirited fiance, Will's plan changes. Amid the ballrooms and salons of elegant society, heated glances explode into scandalous kisses. Revenge is sweet, but surrender will be irresistible. My first novel was published with The Wild Rose Press in 2007 and since then at least one book a year has followed. In 2012, I signed contracts with Harlequin Superromance (romantic suspense) and Kensington (Victorian romance). They will be available in February and April 2013 respectively.